The son of a local GP, Jonathan worked at Thurrock Museum and Heritage Service for 27 years. He was well-known locally – and more widely – for his knowledgeable and committed promotion of Thurrock’s heritage. He retired from his post as Thurrock’s Heritage & Museum Officer in December 2015. Before joining the Thurrock museum service, Jonathan had worked for the Southampton Archaeological Trust on the Saxon ‘Hamwic’ excavation. He then returned to the local area; first as a supervisor, and later as assistant to the director, on the internationally significant Mucking excavation (where, as a schoolboy, he had previously volunteered). He was involved in computer source design, and specialised in recording the prehistoric ceramic phases from Neolithic to Late Iron Age. With the local post-excavation work completed, he was active in the early stages of restoring Coalhouse Fort at East Tilbury, and was an early manager of the site, before – initially as a museum assistant – joining Randal Bingley at Thurrock Museum. Jonathan steadily rose to head the service, enthusiastically undertaking many activities. He took a committed ‘hands-on’ approach; involving schools, organising community ‘digs’, and ‘handling artefacts’ sessions, as well as giving regular talks and lecturing to local and national organisations on the diverse and rich seams of Thurrock’s heritage. 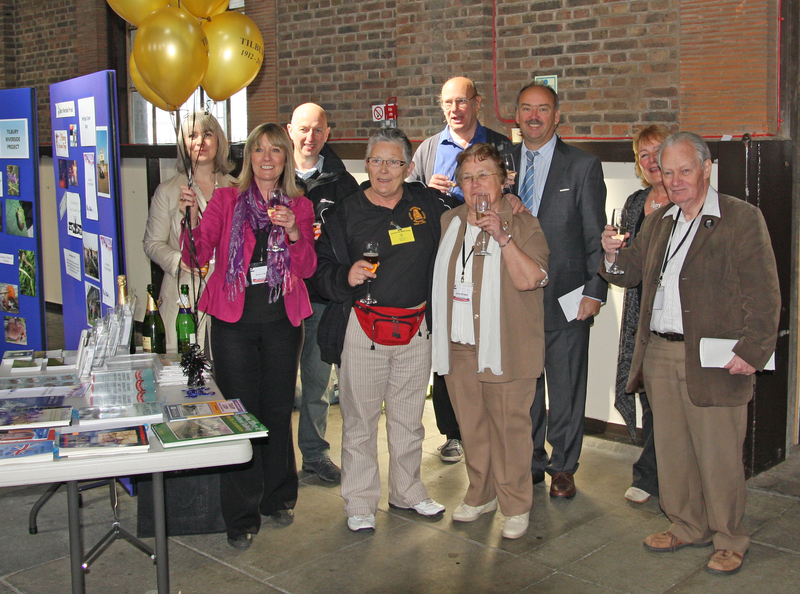 He started a range of popular local heritage walks and led school visits to Tilbury Fort. He produced two plays to interpret the history of Tilbury Docks, created the ‘Million Years in Purfleet’ arch across the Mardyke at Purfleet; and co-authored (with Roger Reynolds) Thurrock Goes to War, and wrote many articles for the local history journal, Panorama. Jonathan was a long serving Thurrock Local History Society member. He served on the Society committee from 1980 to 2000 and from 1993 to 2000 he was Vice Chairman. On his retirement he joined the Editorial Committee for the Society’s journal Panorama. He also designed a series of museum exhibitions; including ‘Prehistoric Food in Thurrock’, ‘Thurrock in the Second World War’, ‘Docker’s Day’, ‘The Empire Windrush’, and ‘1953: The Memory Floods Back’. Jonathan was often to be heard on Essex Radio, and had participated in a number of Television documentaries, including Restoration (spotlighting Coalhouse Fort) and Michael Portillo’s Great British Railway Journeys, filmed at Tilbury Docks. He was given a credit in the three-part BBC series, Gothic, presented by Andrew Graham-Dixon; having convinced the producers the value of visiting the Essex Wildlife Nature Park at Mucking, and of visiting Purfleet in order to include, in the series, reference to Joseph Conrad’s Heart of Darkness; and Bram Stoker’s ‘Dracula’. Jonathan worked tirelessly to support local heritage groups where possible, promoting the ‘Heritage Zone’ at the Orsett Show. At the time of his retirement, two major projects were ongoing. The first, to advance knowledge of Thurrock in the Great War, continues with a volunteer group at the Museum, and through Thurrock Council’s Great War Committee. The other, a Heritage Lottery Fund grant-aided project, to record memories of those people who arrived in Thurrock, mainly from abroad, from the 1930s to 1960s. With an extraordinary run of many years Jonathan’s column, Down Memory Lane in the Thurrock Gazette, reached a remarkable number of people, as does his initiative of Thurrock’s Heritage Plaques: a scheme commemorating significant local historical events and people. The first such plaque (in conjunction with Thurrock Local History Society) was in 2002, marking the naturalist, Alfred Russel Wallace’s period in Grays. The idea snowballed; culminating, in a series of Great War plaques commemorating Thurrock incidents; the latest being the destruction of the L15 Zeppelin by the Purfleet Gunners, unveiled in April 2016 (see earlier piece). Dotted throughout Thurrock there is now a network of plaques for people to gaze upon; to encourage the curious to discover a little more, or simply to be proud of their heritage. In retirement Jonathan continued to lecture, to write Down Memory Lane, and to support heritage groups. He became a director of ‘Tilbury on the Thames Project’ which aims to revitalise the Tilbury Riverside Cruise Terminal. He maintained his interest in military re-enactment, and was president of the Garrison Artillery Volunteers who, at home and abroad, promote the life and equipment of the Royal Artillery with educational displays. Tilbury and Chandwell Memories web site.